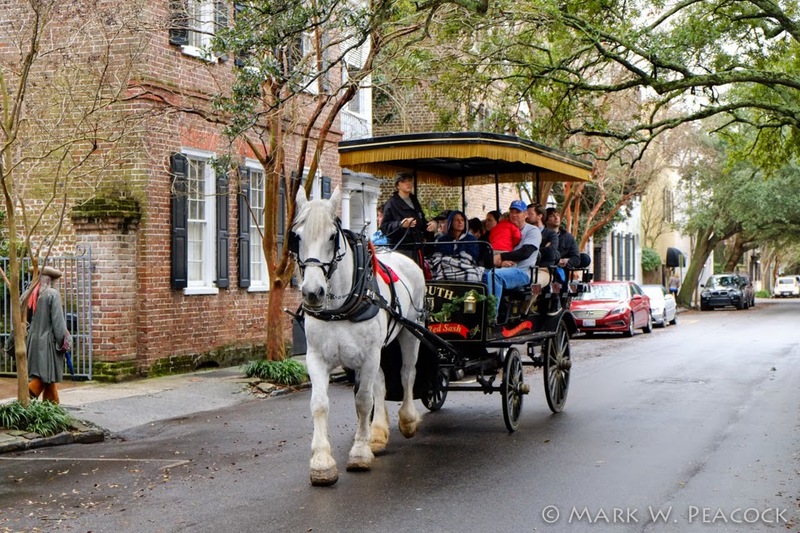 Just got back from a New Year's vacation to Charleston and Savannah. 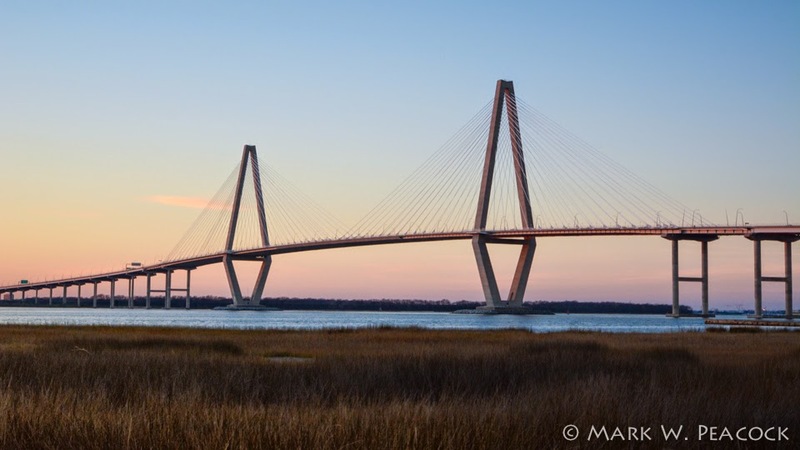 Above is the Ravenel Bridge crossing the Cooper River in Charleston. This impressive cable-stayed bridge opened in 2005, a year ahead of schedule and under budget. The top of the diamond-shaped towers are 575 feet high. 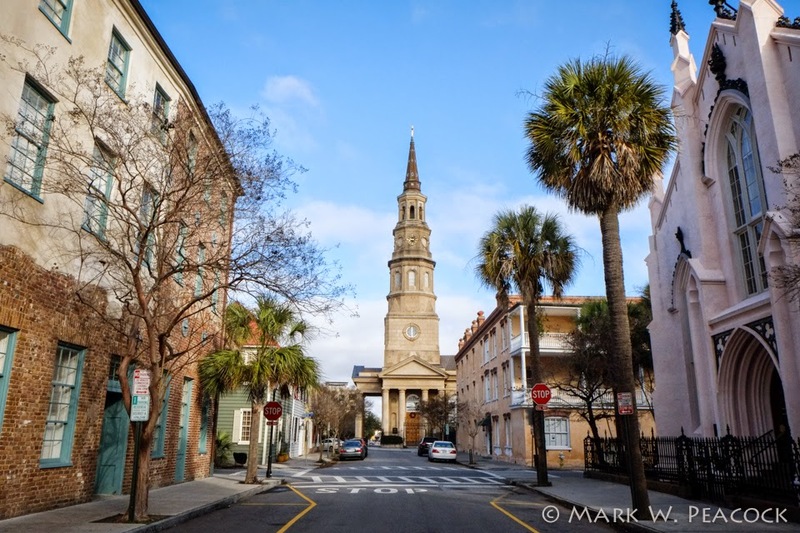 Above and to the left is St. Philip's Episcopal Church, built in 1836 (spire completed in 1850). Look closely at the photo and you'll notice another church to the right, it is the French Huguenot Church, built in 1844. We didn't have the best weather on our trip, with more misty days than sunny days, but we still had a great time taking in the amazing architecture and history of these beautiful cities. 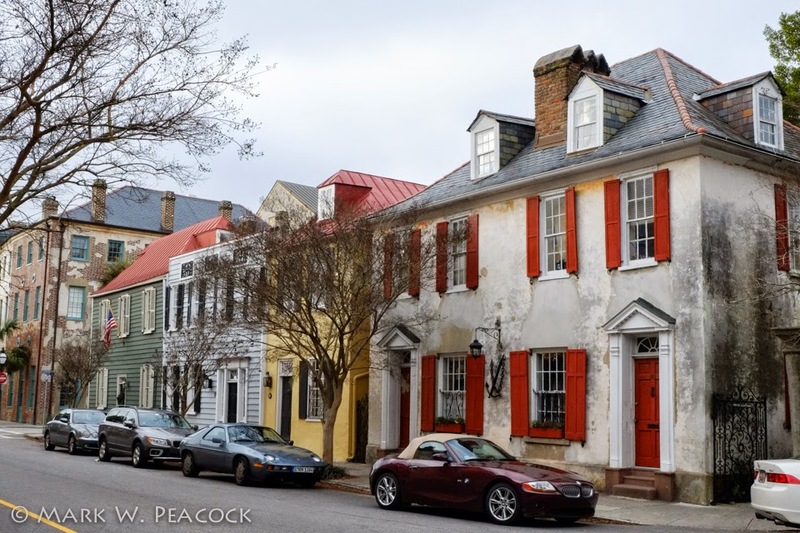 Both cities are full of elegant, old churches and elaborate, well-maintained homes. 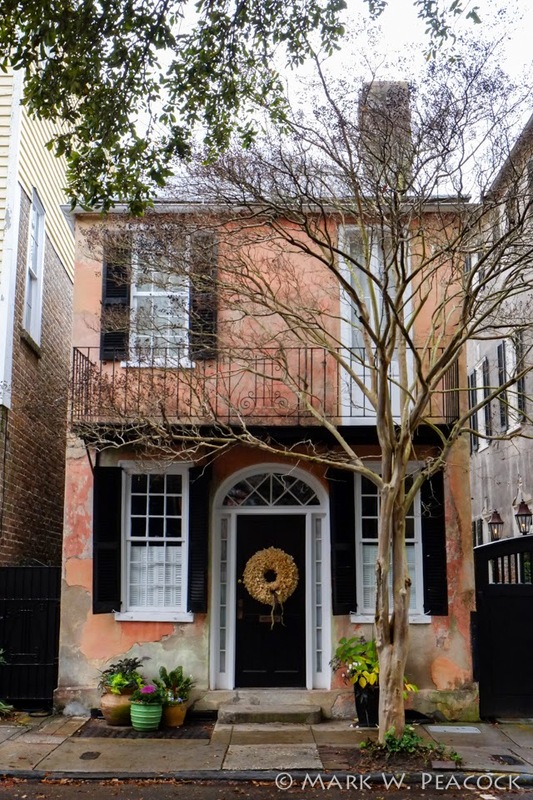 For those who love homes, history, photography and southern culture (and food), it's heaven. :) Today's photos are all from Charleston, I'll have more to share this week from the rest of our trip.